Producing an expansive 180° angle of view, the Sigma SA-mount 15mm f/2.8 EX DG Diagonal Fisheye Lens from Sigma offers a super-wide perspective for creative applications. As a diagonal fisheye, this lens produces a notably distorted image that fills the entire frame, and its minimum focusing distance of 5.9" allows for working with unique perspectives with close-up subjects. 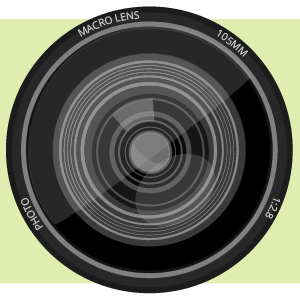 Additionally, the bright f/2.8 maximum aperture benefits working in difficult and low-light conditions by allowing the use of faster shutter speeds. 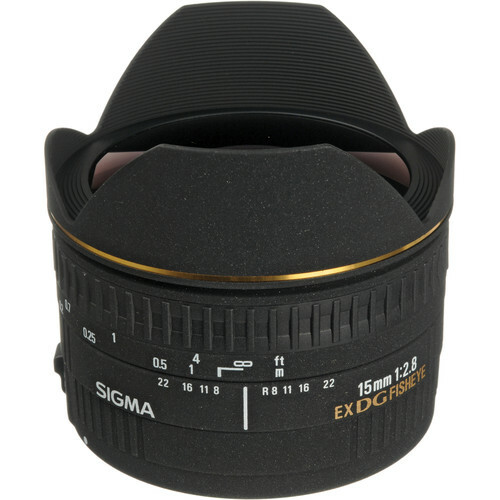 Diagonal fisheye lens is designed for Sigma SA-mount cameras, and when used with APS-C models it provides a 22.5mm equivalent focal length. Multi-layer coating has been applied to individual elements to suppress flare and ghosting for improved contrast and color when working in strong lighting conditions.